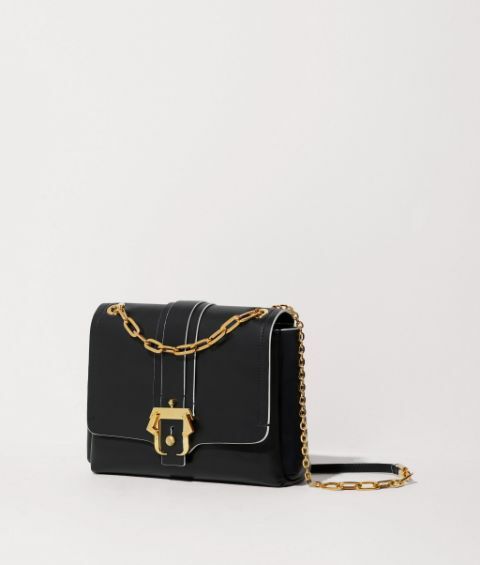 Deluxe construction is emphasised with the refined Alice shoulder bag. 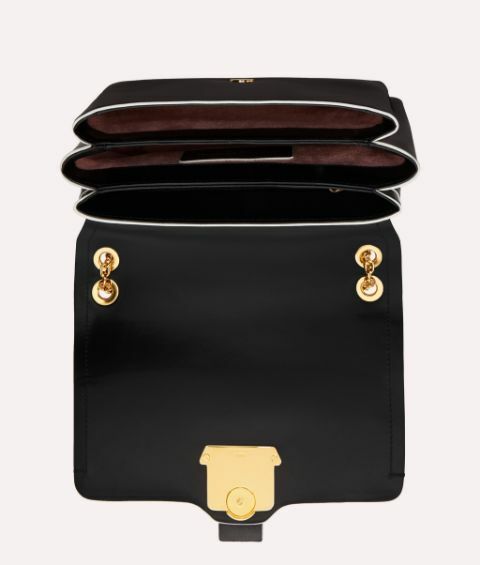 The solid rich black calf leather front flap contrasts with the soft geometric sides. Crisp white hems and gleaming gold tone hardware—such as a mixed density linked chain and logo stamped padlock embellishment—add definition to this iconic Paula Cademartori design, making for an endlessly chic accessory.